Windows XP is dead-dead-dead. After all, Windows XP is a has-been in the world of operating systems – now 2+generations behind – and, eating dust. Or, so say all the pundits. If you’re an XP user, as I am, then you can take some solace from OPSWAT’s latest quarterly report (released today), bolstered by more than 353,000 data points, which clearly shows Windows XP continues to hold substantial market share. 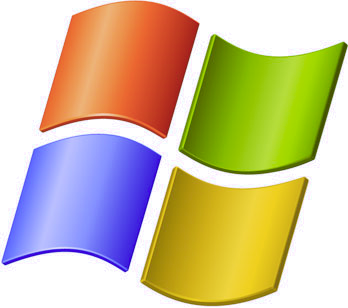 In fact, according to OPSWAT’s data – Windows XP remains the most popular Windows operating system in both North America and worldwide, with slightly under half of computers using XP. I’ll point out – I also run with Windows 7 and, Windows 8 Consumer Preview (a super system once one has crossed the “I have to learn some new stuff” barrier) – both of which are considerably safer overall than XP. So, I have no ax to grind – but, I do have an XP horse in the race. There’s little doubt of course, that XP will eventually disappear from the scene – but, not quite yet. 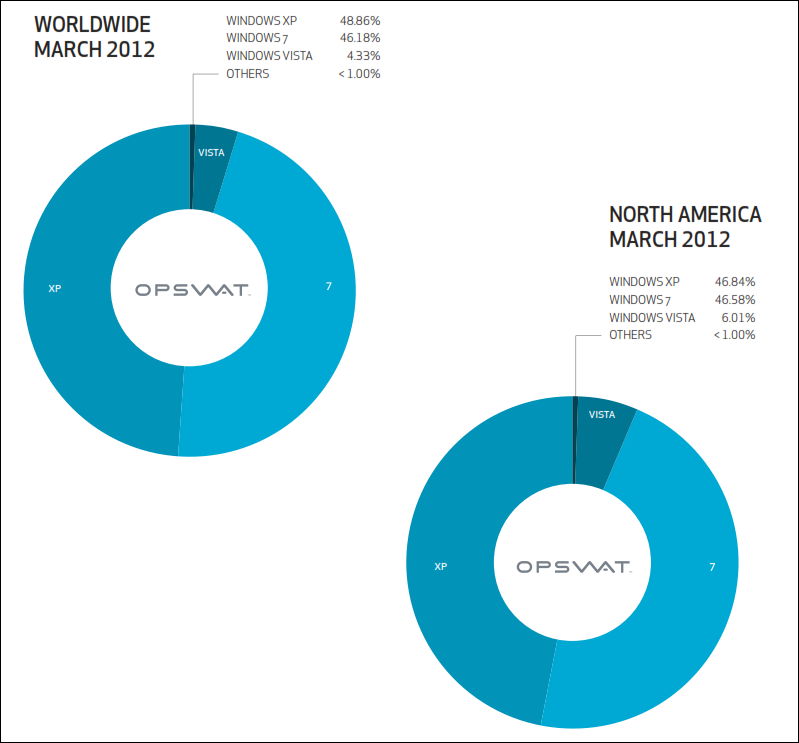 Windows 7, and rightfully so, continues to blaze ahead in the race to displace XP from its preeminent market position and, as shown in the following OPSWAT graphic, now commands better than 46% of the operating system market both in North America, and world wide. Windows Vista on the other hand, is barely on the horizon. 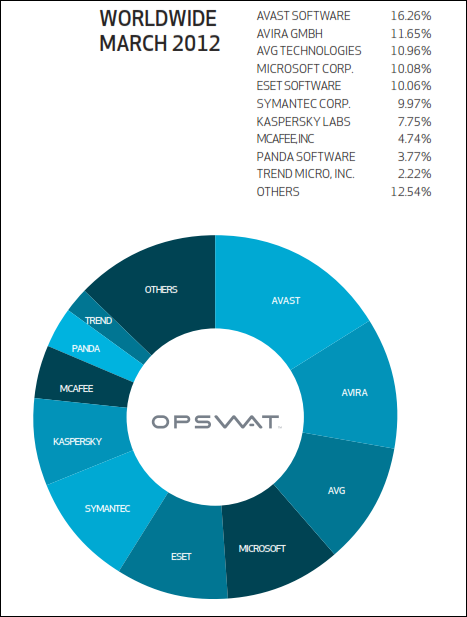 Additionally, the OPSWAT report takes a close look at world wide and North American Antivirus vendors market share and, the gathered information in this latest report shows virtually no shift in market penetration from previous reports. In the world wide market place, the same Top 10 players, as expected, continue to hold substantial positions. In the North American marketplace, the same high penetration ratios exist although, the players shift position – with Symantec jumping into first position overall, from its sixth position worldwide. Microsoft, as shown in the following graphic, continues to gain ground with a fairly dramatic shift in growth. 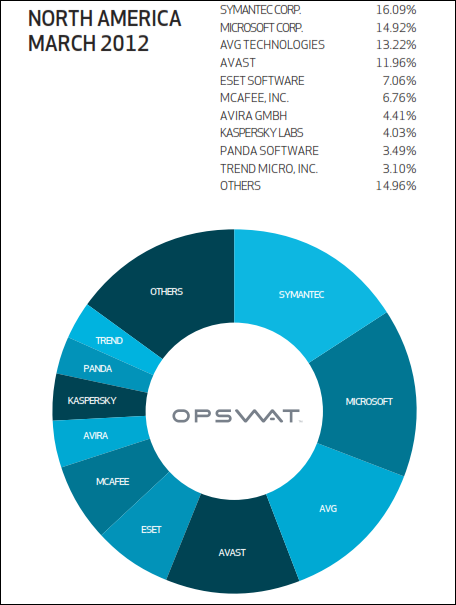 As in previous OPSWAT reports, free security solutions remain at the top of the market with the highest numbers of installations. 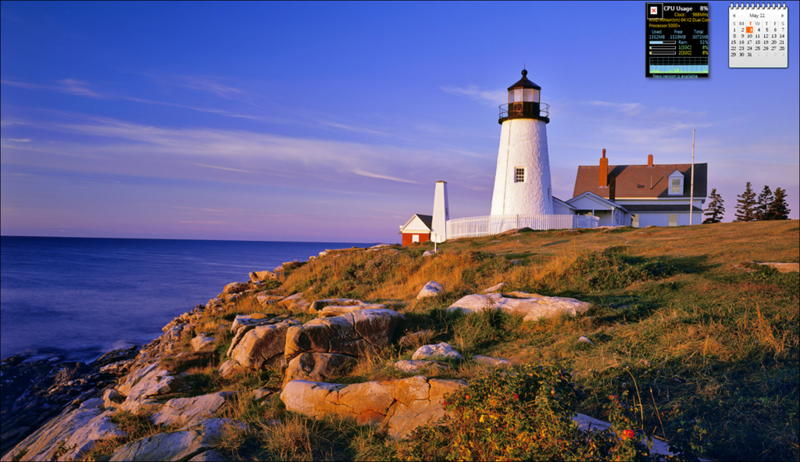 The top three products in North America, and worldwide, are available free for download. OPSWAT’s analysis of the peer to peer application market share surprised me somewhat, since it showed LimeWire continuing to hold a market share -despite a court injunction prohibiting the use of the application, dated October 26, 2010. On the other hand, there was no surprise in seeing µTorrent maintaining its lead over the competition in the public file sharing application market – as the following graphic indicates. If you’re a techie, then you’re very likely familiar with AppRemover, a free powerful anti-malware, antivirus application remover, and Metascan Online, a free online file scanner – both from OPSWAT. Beyond this direct connection however, you might not be familiar with OPSWAT. Our innovative multi-scanning solutions deliver optimized anti-malware protection that increases detection rates without sacrificing performance with slow and cumbersome scans. Because no single anti-malware engine can catch every threat, we combine multiple engines to scan simultaneously, significantly improving the probability of detecting a threat. As you can see from the screen capture of my desktop, I’m a minimalist. Maybe I’m a throwback to an earlier age, but I like the look of a clean desktop – I don’t even show desktop icons. Those applications I use every day, have been added to the taskbar. It works for me – a clean desktop and, ready access to frequently used programs. But you will, no doubt, have noticed two desktop gadgets displayed. One is a calendar (got to know the day and the date), and the other gadget is one I can’t do without – All CPU Meter. 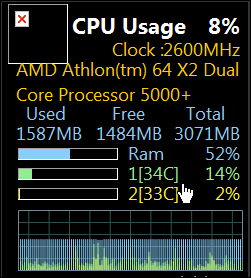 How hard the CPU is working. Ram used, and Ram free. 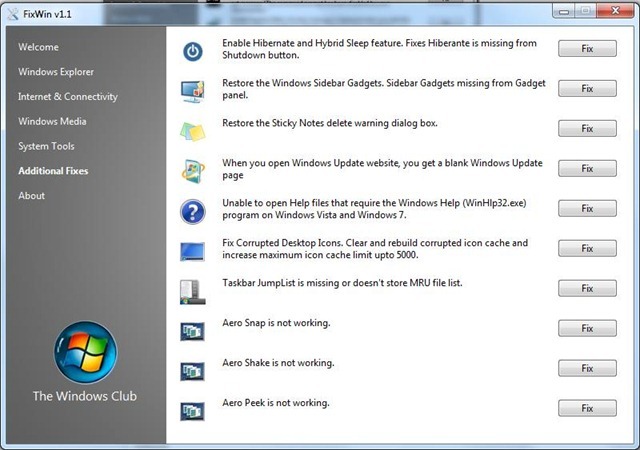 As an added bonus, double clicking on the gadget brings up Windows Task Manager, which I refer to frequently. Once installed, choosing the options which best suit your needs is easy. System requirements: Windows 7, Vista, Server 2008 (64 bit supported). Supported: Twenty Four Core, Sixteen Core, Twelve Core, Eight Core, Six Core, Quad Core, Triple Core, Dual Core or Single Core. NOTE: In order to show core temperatures, All CPU Meter relies on an additional stand alone application – CoreTemp. In the two years or so, that I’ve been running with this Gadget, I’ve not experienced any problems – it just sits on the desktop doing its job. 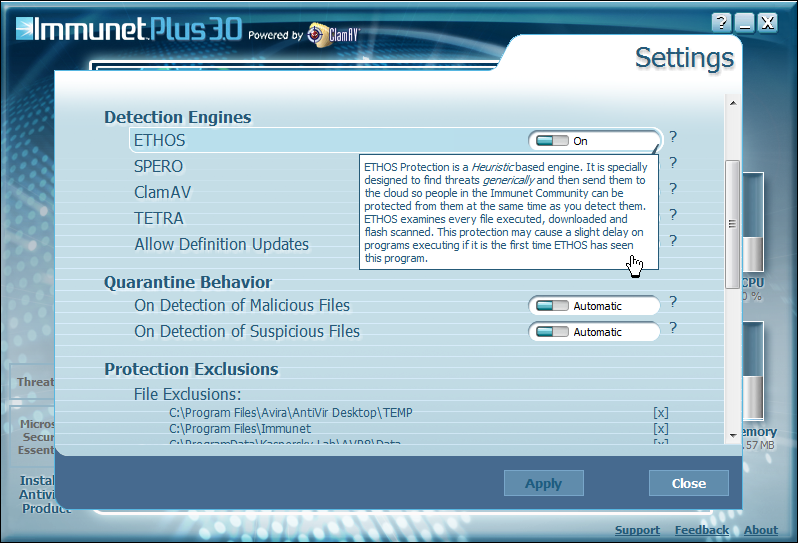 The latest version of Immunet Protect has just been released (February 9, 2010), and in the development process, this outstanding free companion Antivirus has undergone a name change to – Immunet 3.0 – Powered by ClamAV. Regular readers here, will remember that in previous reviews of this freebie, I have been very enthusiastic in my recommendations. Now, I have one more reason to be even more enthusiastic. Toll-Free Customer Support is available for all Immunet Protect FREE users 24 hours a day, 7 days a week through our Immunet Technical Support line at 1-866-891-4480. Immunet Support representatives can help with installation issues, potential virus issues, or even computer performance issues that may or may not be virus-related. Immunet Protect 3, is a superior community driven cloud based security application, (now closing in on a million users), which continues to gain increasing popularity – and rightfully so. In real time, Immunet Protect keeps track of the state of security in the collective community (network), and should a member of the network (the community), encounter malware, you (as a member of the protected community), are instantly protected against the threat. A rather more impressive security solution than having to wait for a malware definition database update. An update that may take several days. Days in which you are effectively open to infection. A community driven security application like Immunet Protect, does not suffer from this obvious disadvantage of having to chase runway malware. It’s significant advantage is it’s user base community – operating in real time. Immunet Protect is designed to add a layer of protection while working in partnership with the most popular antimalware solutions. 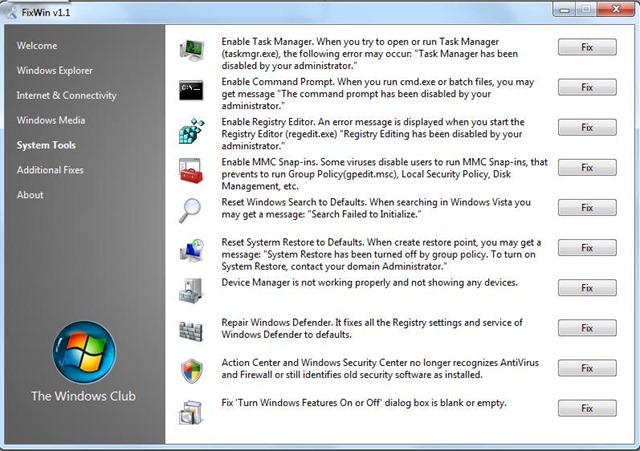 On my principal home machine for example, Immunet Protect lines up with Microsoft Security Essentials and ThreatFire, to shore up any vulnerabilities my system might have to to zero-day threats. Version 3 has increased functionality over previous versions, and incorporates a number of new features. Offline engine – The 3.0 release will now ship with an ‘Offline’ engine. 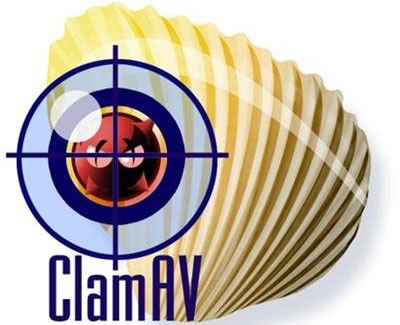 This engine (ClamAV .97) once enabled, will automatically pull down our latest detection sets and allow for complete detection coverage, even when you are not connected to the Internet. With our Offline protection we now also have several complex engines for detection native to the desktop and have support for file formats such as .DOC, .XLS, HTML etc. as well as strong unpacking support. Cloud Recall – Unlike traditional Anti-Virus, or even other Cloud Anti-Virus we constantly reconsider all the data we see or have seen in our community. This ‘Cloud Recall’ ensures that your security is advanced with every new piece of information we become aware of. You will always know as much as we do, when we do. Custom Signature Creation – With 3.0 we now offer the first Windows Anti-Virus product which allows our users to write their own detections with our engines just as we would. Users can now hunt threats (or Advanced Persistent Threats if you like) by creating signatures which range from simplistic (straight MD5 matches) to complex (logically chained expressive signatures w/ offset support and wild carding). You’ll find Immunet Protect straightforward to install, and easy to run without complication. The screen captures I’ve setout below, will help you get a good overall feel for the application. 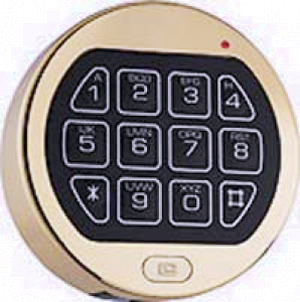 Setting the operating parameters (the protection settings), is straightforward. 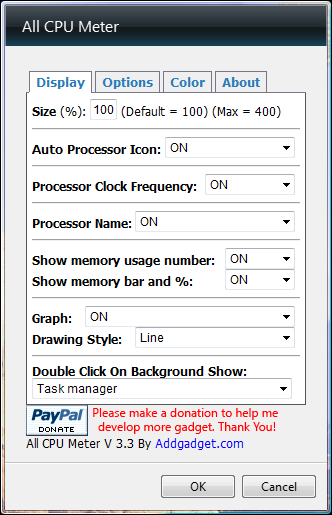 In the following screen capture you’ll notice tooltip pop outs which explain the function of each setting. A very cool feature for less experienced users. 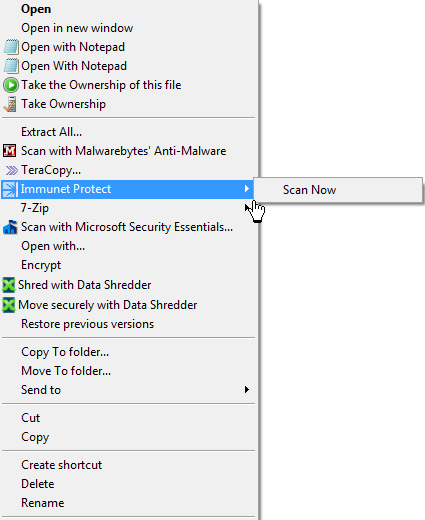 I have a preference for antimalware solutions that include the ability to launch a specific file scan from the Windows Explorer context menu, and Immunet Protect has included this important feature. Should you consider installing, and running, a Cloud Antivirus as supplementary antimalware protection? Cybercriminals design specific malware to exploit vulnerable systems without user interaction being required. No single security application is capable (nor should we expect a single application to be capable), of providing adequate computer system protection. 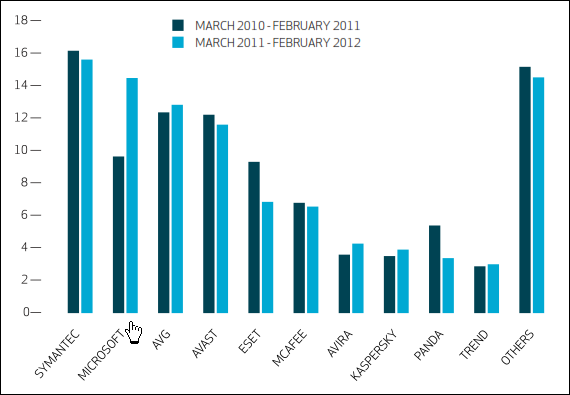 Gaps exist, in protection capabilities, in even the most sophisticated security applications. Layering (or stacking) security applications, offers the best chance of remaining infection free, by closing these gaps. A cloud based protective solution, in this case Immunet Protect, is a major step in shoring up any weaknesses, or gaps, and significantly increase your overall ability to detect malware. Fast Antivirus Protection leverages the speed of cloud computing to deliver real-time protection to your PC. Stay protected against over 13 million viruses and thousands of new threats daily without ever downloading another virus detection file again. Immunet Protect FREE is ideal for consumers who want fast protection that doesn’t slow down their PC, including students, families, and netbook users. Small and Light Footprint is up to 35 times lighter than traditional antivirus solutions. Immunet’s low disk and memory use won’t weigh down your PC unlike other solutions. Companion Antivirus means that Immunet is compatible with existing antivirus solutions. Immunet adds an extra, lightweight layer of protection for greater peace of mind. Since traditional antivirus solutions detect on average only 50% of online threats, most users are underprotected, which is why every PC can benefit from Immunet’s essential layer of security. Collective Immunity technology leverages the shared intelligence on threats gathered within the Immunet Cloud. 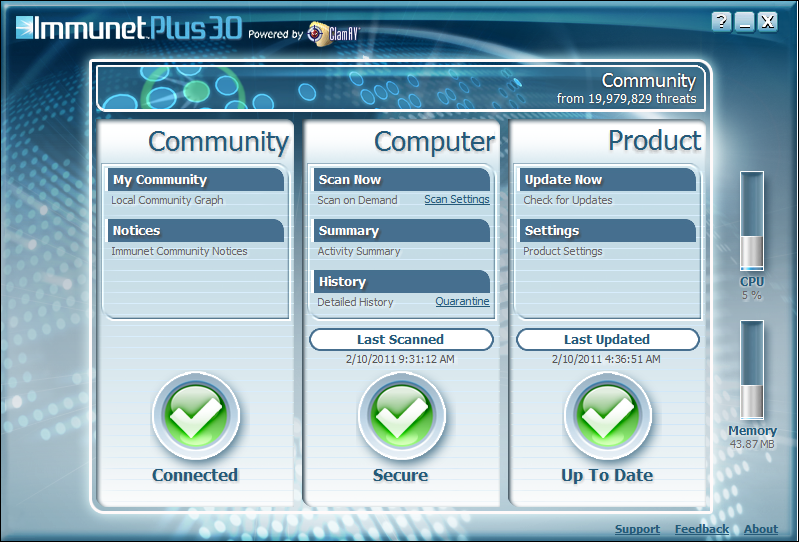 Immunet’s virus detection technology continuously improves with each new user who installs Immunet Protect. When Immunet detects a threat on one user’s PC, that threat is blocked from harming all users in the Immunet Community simultaneously, giving all Immunet users shared immunity against computer viruses. Real-time Detection from the Immunet Cloud against viruses, spyware, bots, worms, trojans, and keyloggers without downloading any virus signature files. Stay protected with Collective Immunity™ and intelligent virus detection technology that doesn’t slow down your PC. Intelligent Scans effectively detect and remove viruses, bots, worms, trojans, keyloggers and spyware, thanks to the power of collective intelligence and the Immunet Cloud. 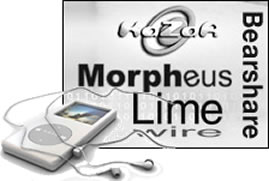 System requirements: Windows XP with Service Pack 2 or later, Vista (32-bit and 64 bit), Windows 7 (32-bit and 64-bit). I have no hesitation in recommending this application. I can’t think of another security application that has enjoyed a such a major increase in users in the last six months, like Immunet Protect has. That’s no accident. Note: Along with Avast Free Antivirus, Immunet Protect is now offered as part of Google Pack. 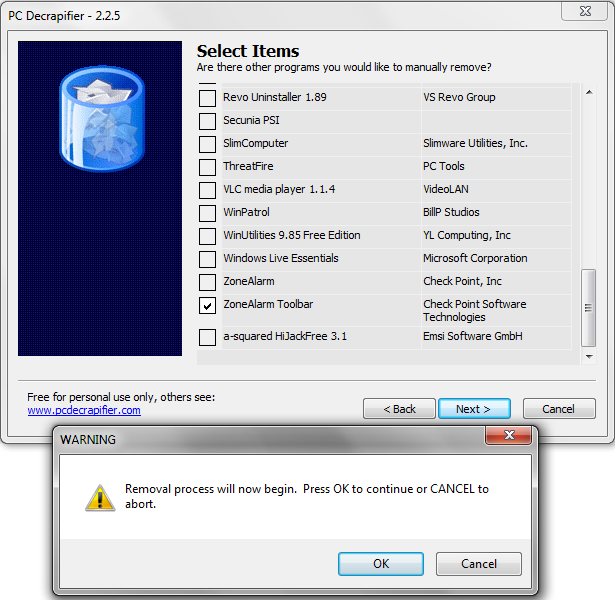 Free PC Decrapifier – Bloatware Begone! You might think that a reader comment that goes something like this, is unusual – “I don’t know how this program ended up on my computer. One day, it just showed up.” Surprisingly, this is not an unusual comment. 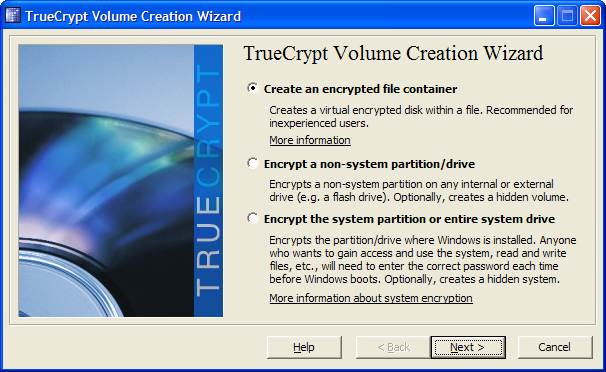 In almost every case, the reader is referring to the trial ware (crapware, bloatware), commonly preinstalled on major manufacturers computers. This is the type of thing that drives users buggy, since trying to figure out how to get rid of trial ware is not as easy as it should be. 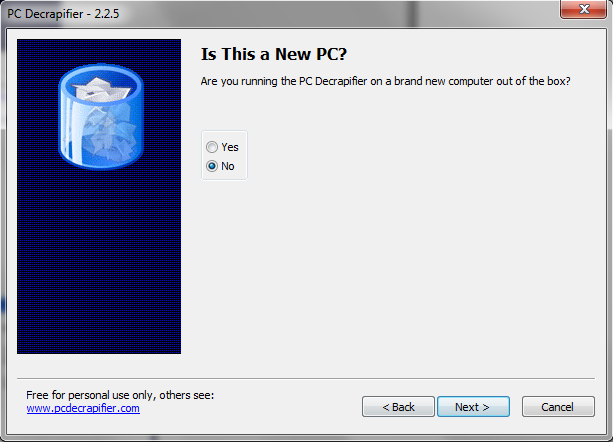 Luckily, there is a free application designed to specifically uninstall these annoyances – and that’s PC Decrapifier. It’s been a couple of years since I last posted on this terrific application, so today, I’ve taken another look. 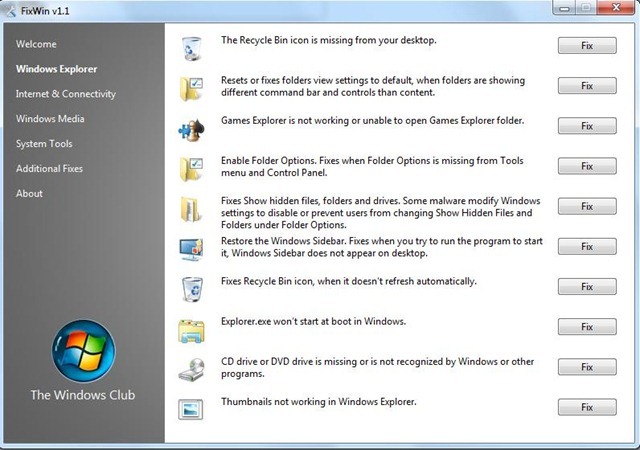 The program does not need to be installed; simply run the executable. Or, if you prefer, you can run this application from a USB drive. You choose the items to be removed from a preconfigured list, and you can create a restore point (highly recommended), to undo any changes. Note: Since PC Decrapifier is written in a scripting language, you may get an security application warning. This warning (if you receive it), can safely be ignored. 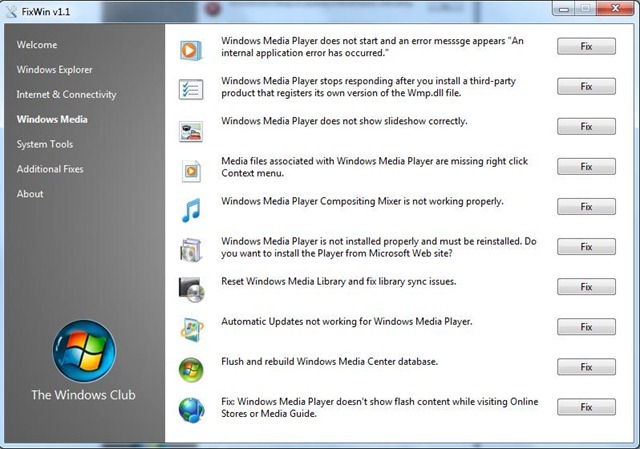 The application, while designed to uninstall crapware, has additional functionality – as the following screen capture suggests. More on this in a moment. 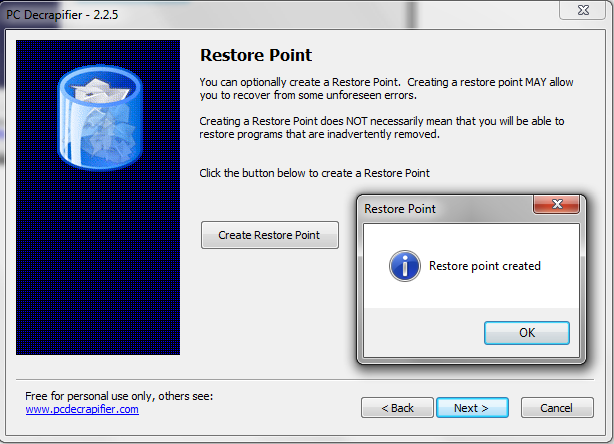 Anytime changes are being considered, creating a restore point is always good practice. In the following screen shot, you’ll notice the application has detected an application it considers crapware on my machine. 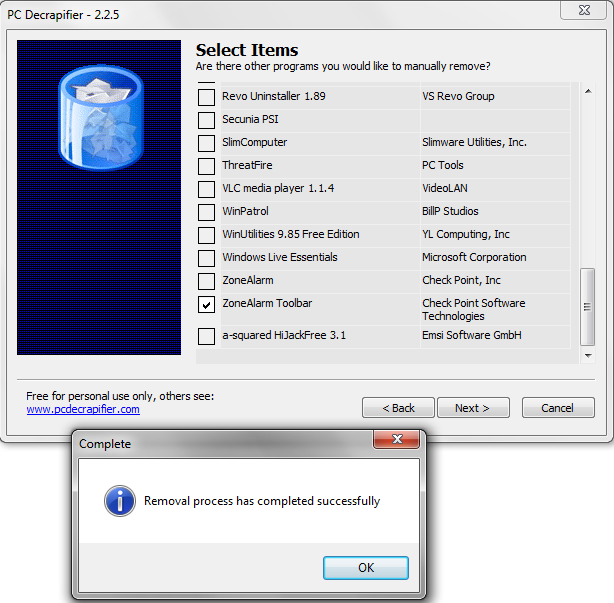 The following screen shot illustrates a relatively unknown aspect of PC Decrapifier – its ability to act as a bulk uninstaller. 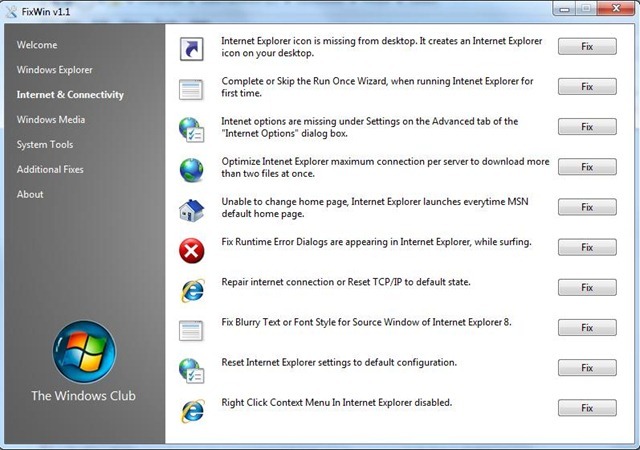 The user simply checks off those applications which are no longer needed; clicks “Next”, and the application will launch the appropriate uninstallers. A slightly better solution than the Add/Remove Program applet when uninstalling more than one application, I think. Working with PC Decrapifier requires no particular skill. The application is “follow the bouncing ball” straightforward. 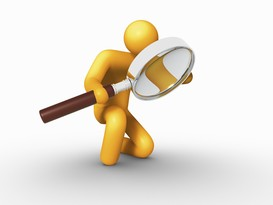 The following is the current list of software and items that PC Decrapifier can detect and remove. 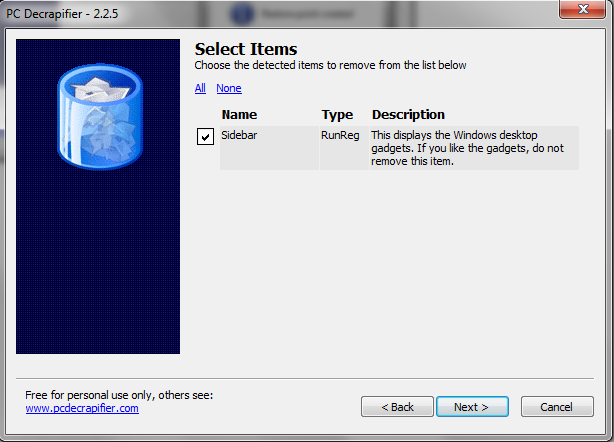 The list is generated from the items the program detects on your computer, and you then choose the items to be removed by the program automatically. What could be simpler than that? System requirements: Windows XP, Vista, and Win 7. Note: PC Decrapifier is free for personal use only. 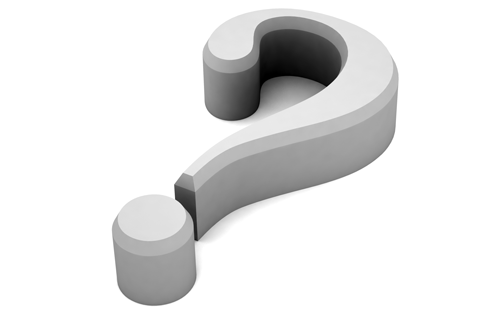 If the application is used in a commercial environment “you will require a commercial license. The cost is $20 per “technician” (not per PC)”.